Well not a great deal happening on the home front at the moment with regards to the reno’s! I kind of decided that on the days that I wasn’t working I was going to have a bit of down time and do nothing and that is pretty much what I have done. Almost……. You see I found a new obsession!! Instagram!!! I know it’s been around for ages but I’m just a bit slow. Mr uses it all the time and takes some amazing pictures but up until now I’ve never bothered. Now I am completely addicted! 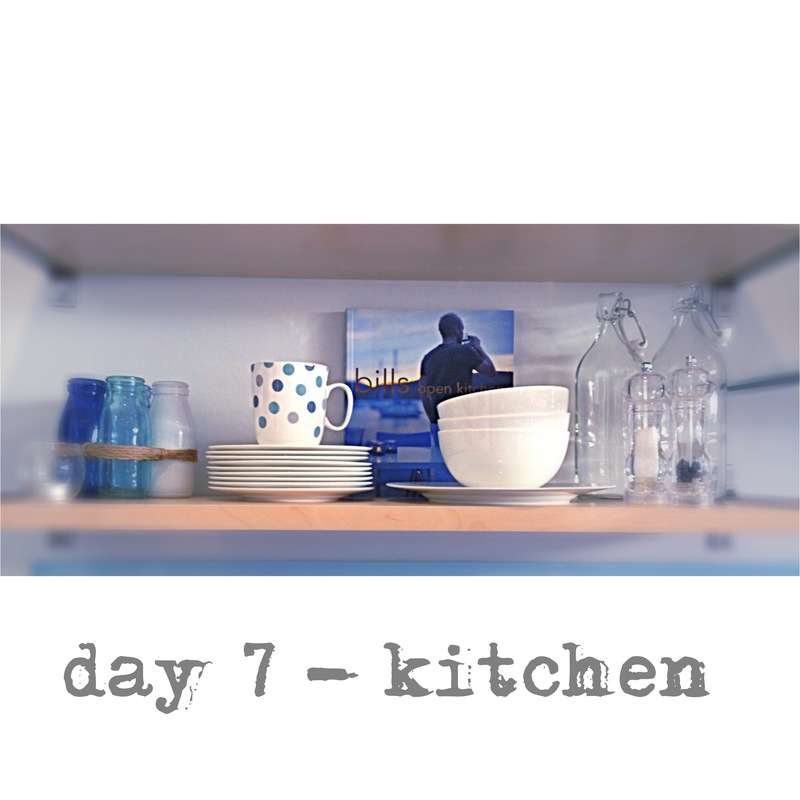 This past week I have been taking part in a challenge by Jen Bishop from interiors addict called 7 vignettes in 7 days. Firstly I had to clarify what a vignette actually was because although I had an idea, I really didn’t, if you know what I mean. Turns out a vignette is a small collection of things…..
Each day there was a different topic and your picture was your interpretation of that topic. Pictures were posted on Instagram and tagged #7vignettes. There were over 2000 pictures posted in the 7 days and some were absolutely outstanding. I had so much fun doing this and can’t wait for the next challenge in February. Here are my 7 days!! The picture frame was empty, awaiting a print, so I put one of my tops in there for a bit of color….pretty clever hey? 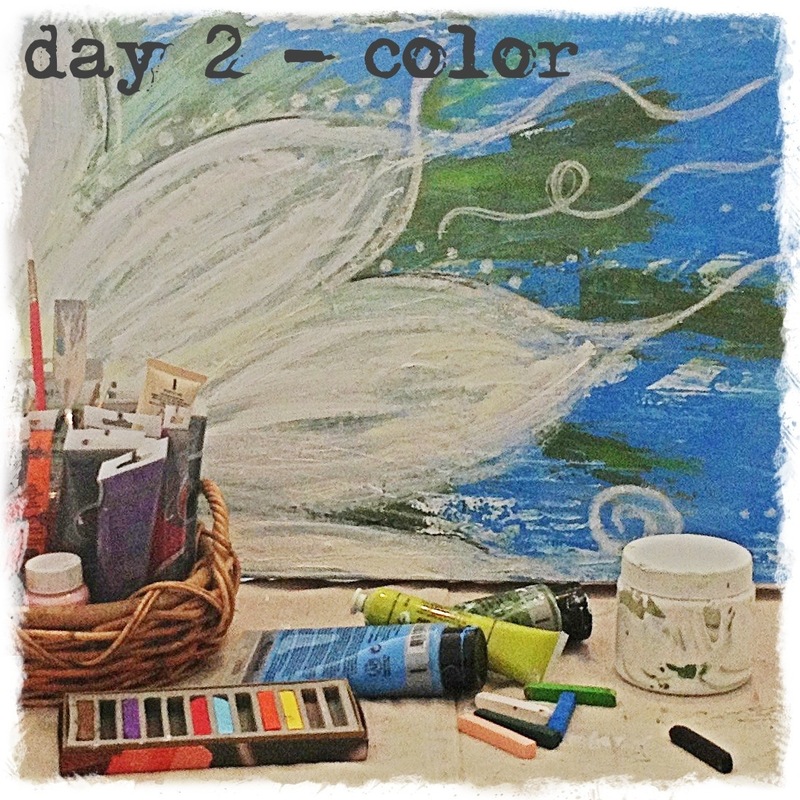 Day 5 I enjoyed the most! In these pictures are my very first shoes, my hand written hospital band, silver baby bracelet & my baby health record. How lucky am I to have all these precious things? 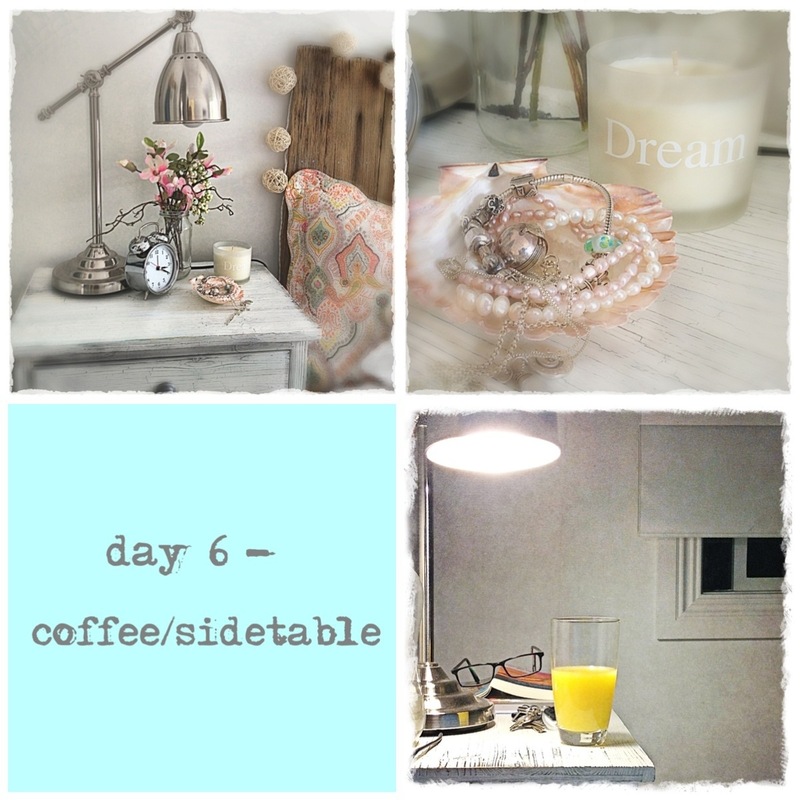 Day 6 I used our bedside tables, not just my pretty side but also the “man” side. My bedroom is my most favourite place. 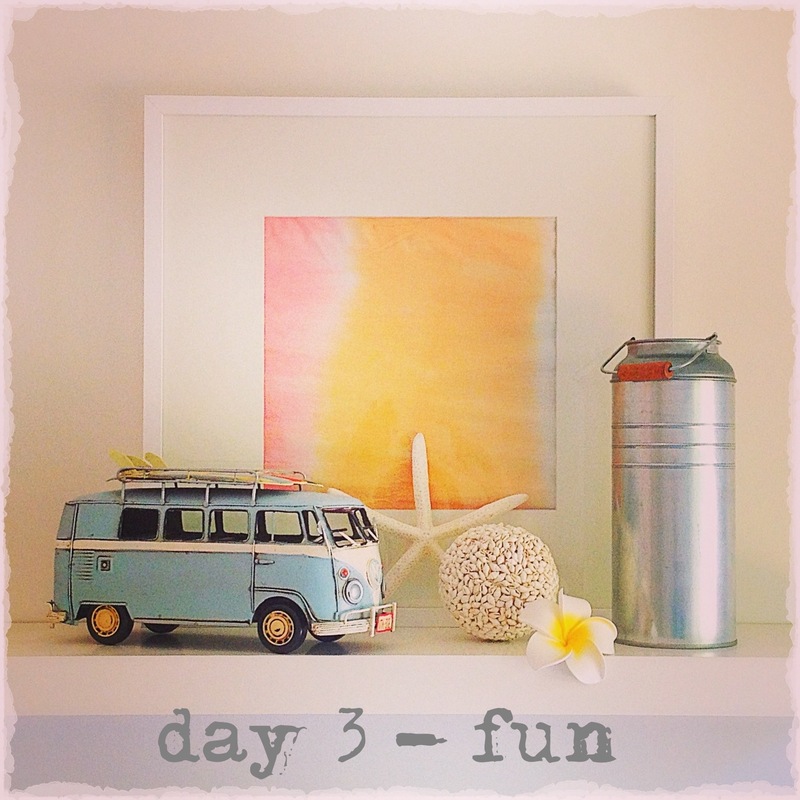 There is another “photo a day” challenge I am doing too, but more about that on another day! 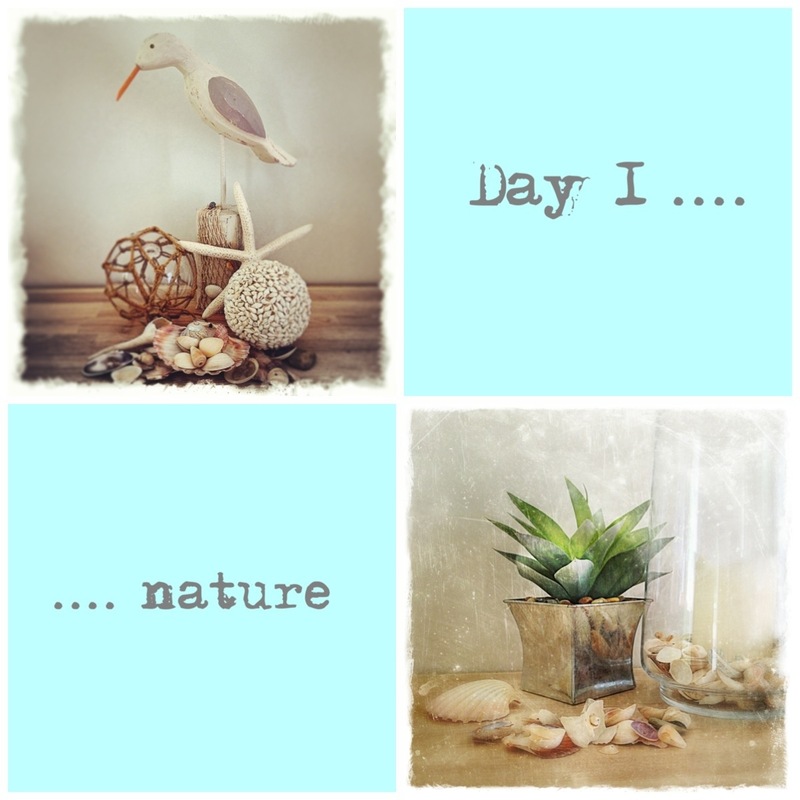 Thinking I might have to put an Instagram button on my blog…….. Just have to work out how! 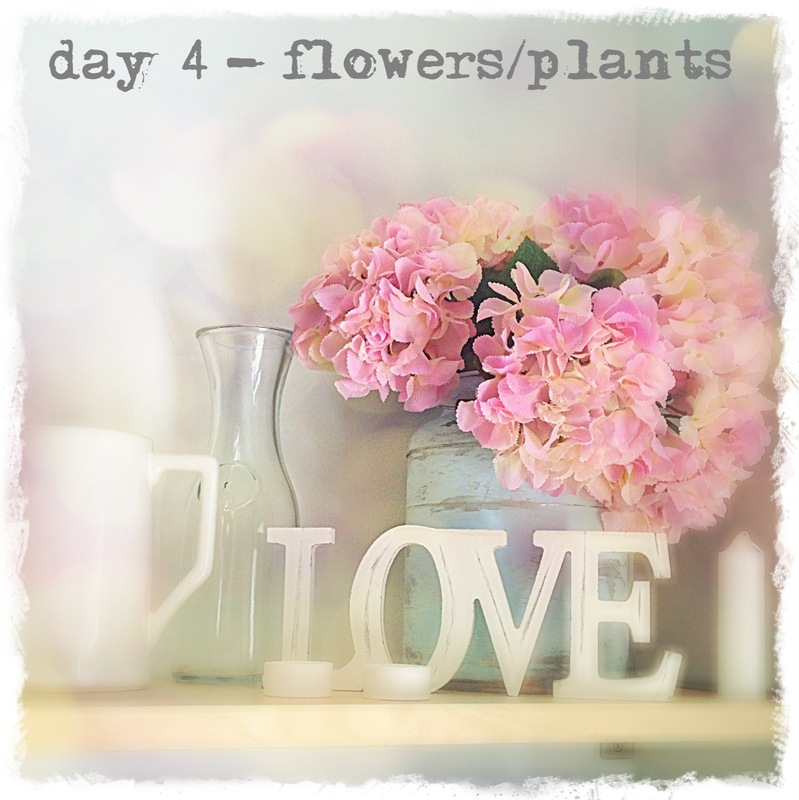 Categories: flowers, House, instagram, styling, vintage | Permalink. Thank you lovely x that was my fave too. I am lucky to still have those things. I kept all that sort of stuff for my kids too. There will be another challenge coming up, you should do it. Lots of fun and really makes you pay more attention to what is around you! Is your floral arrangement artificial ? I’m a bit addicted too!! I spend a lot of time looking for ideas and pictures as inspiration and use that in my home. U don’t need to be overly creative, just know what u like and put it together!